Writing from the Senses welcomes submissions of up to 300 words in any genre, including first-person creative nonfiction, fiction or poetry. To submit, please fill out the form below. We will review your submission and publish selections online. 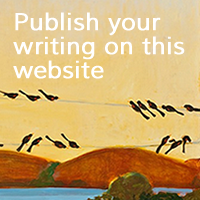 By submitting your writing, you grant permission for it to be posted, used and licensed by Laura Deutsch & Associates. You agree that your work may be edited as necessary. You will retain copyright to your material. If you would like to submit your writing, please paste your text in the Comment box below.